Crocheted for the baby to whom I gave the Jewel baby blanket. We visited the hospital the day after she was born and now unbelievably she’s already just over 2 months old, whew doesn’t time go fast?! Today a friend and I are going to visit her in London on the canal boat which is home. I fancied making a little follow-up gift and feel liberated to try lots of new patterns now I have that end of term feeling, after the schedule of making three CAL blocks a week since September. Ya hooo! The pattern is from Nicki Trench’s Cute and Easy Crochet book. I used the specified Rowan Handknit DK Cotton with 4mm and 3mm hooks. 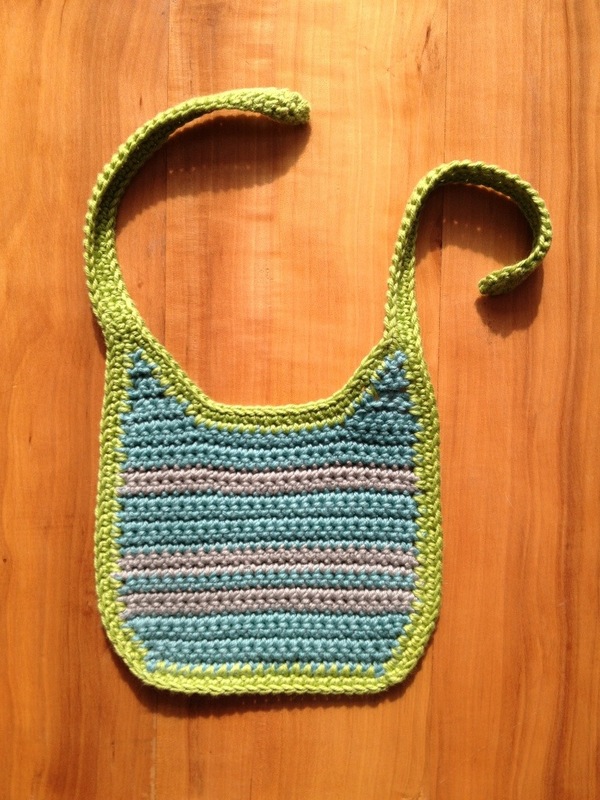 It’s really easy to make and is crocheted in the same sort of way I used for Prachi’s bag. Have you made anything for family or friends lately? I have a photo of her wearing it and its perfect, I worried it was on the small side. You forget how tiny we all start out! She’s such a cute baby she can blow her nose on it, I don’t mind! Love it! Would it work in dishcloth cotton? Don’t know how soft it would be compared to Rowan cotton? It’s so cute Rachel – lovely idea and nice that the colours match her blanket! So they do! Thank you. That’s a lovely comment, thanks T! Lucky baby having such a clever Mum to keep her in cool bibs. 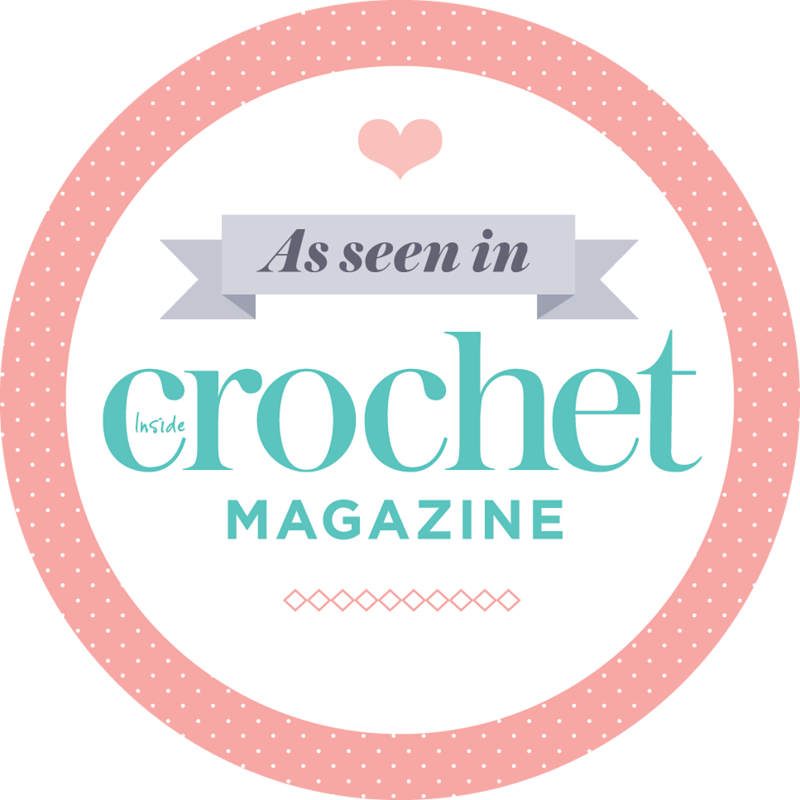 I love Nikki Trench’s crochet patterns and the colours you’ve picked out are beautiful! She’s so good at not being naff isn’t she? Her patterns just work on many levels. It is very lovely but I know how bibs get trashed (well they did in our house!). One blueberry and apple purée and they are stained forever. Don’t know what dishcloth cotton feels like but if its good and cheap and very washable it might be a better alternative to luxury rowan cotton??? Sometimes I’m too practical for my own good. Rowan cotton is much nicer for a present.